The 38m (124’6’’) NedXplor 38 is a brand new displacement explorer yacht design developed in collaboration with Perry van Oossanen of Van Oossanen Naval Architects, the team of Omega Architects by Frank Laupman and Bernie Challis of IYC Monaco. 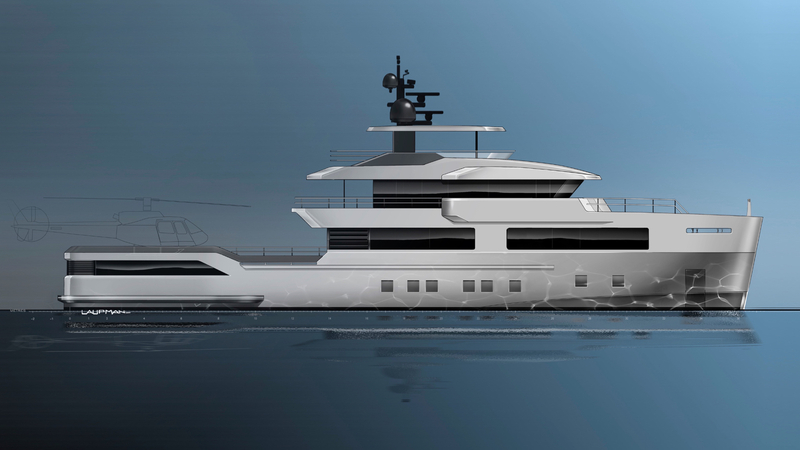 Exclusively for sale with IYC the design is available for construction at a quality Dutch shipyard or the yard of the owner’s choice. The NedXplor 38 is a one of a kind opportunity that encompasses Dutch design and naval architecture in a manageably sized unique explorer yacht with outstanding features and pedigree. She also offers the capacity for up to five tenders and a helipad, with a special sub-lower Tank Deck for added storage.